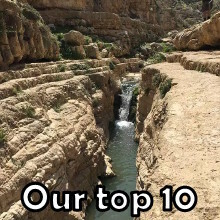 The most striking feature of Israel’s landscape is its variety. 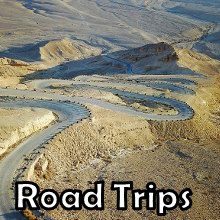 This small area (Smaller than New Jersey) has the dramatic Negev desert in the South, the Galilee & Golan mountains in the North and many historical and archaeological sites that blend into the natural surroundings. 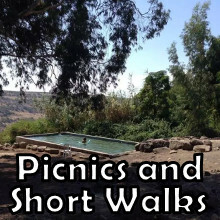 Israel & Hiking – This pairing of words may sound weird to some of you?? A tiny country without high mountain ridges – attractive for hikers?? Well, read on and see how wrong you are………. 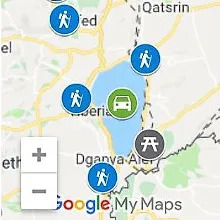 Israeli’s love their country and love to walk its trails. The countryside is crisscrossed with an impressive network of clearly waymarked and maintained trails, covering the entire country. As anywhere in the world, also here, hikers connect to fellow hikers no matter what language they speak. 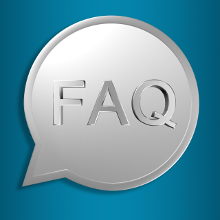 So 1st of all, it’s one of the best ways to meet locals in the friendliest possible atmosphere. 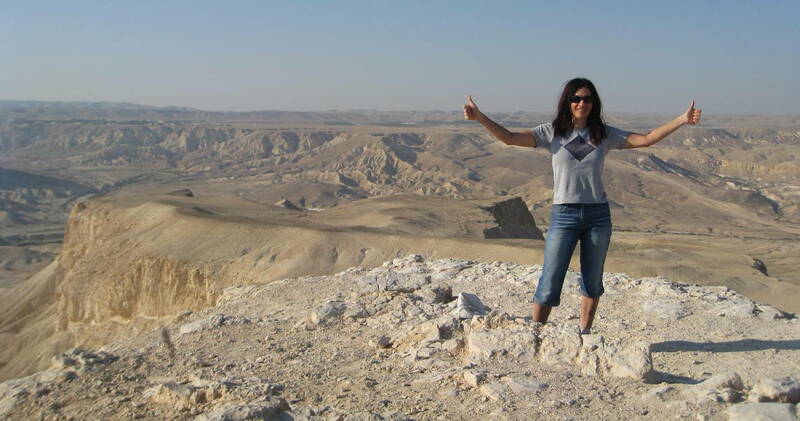 The Negev is one of the most hiking-friendly deserts in world, and definitely the friendliest one closest to Europe. You probably know the feeling when the alpine trail reaches above the tree line how the view opens up. Well, in the desert you are all the time above the tree line with the dramatic views surrounding you. In between the high ridges we walk in deep colorful canyons. If you have not hiked a desert before, expect a truly unique experience. 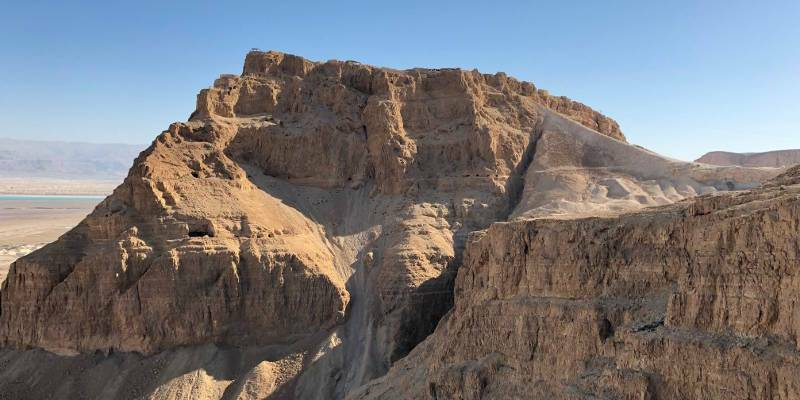 (Check out some fantastic Hiking Options in the Central Negev). 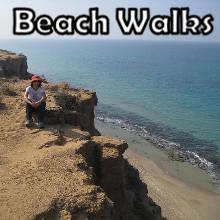 In many hikes, you will find along your route, ancient synagogues, Biblical sites, Crusader fortresses, old monasteries and Nabatean towns blended into the landscape around them. Gush Halav Stream – passes near an ancient synagogue. Amud Stream – Passes near many old water mills. The Springs Trail – Start at a Byzantine ruin. Qumeran – Starts at the ancient settlement of the Essene sect. 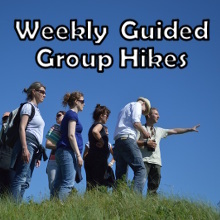 Hiking is a wonderful way to Spice-Up a conventional visit to Jerusalem, Eilat or Tiberius. Within a short driving distance from these tourist hubs, you can find great options for a full-day or half-day hike at all levels, from easy to extreme. 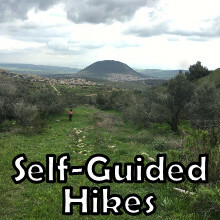 The best example is Jerusalem which is surrounded by fantastic hiking options. And finally, we also have the weather on our side. 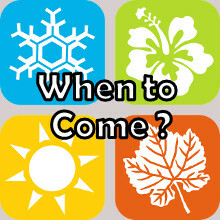 The winter months, which present unfavorable hiking conditions in most northern countries, are the best months to hike in Israel. The summer month are too hot for a serious hike, but there are many options for short and easy “Wet” hikes that include wading and swimming opportunities.